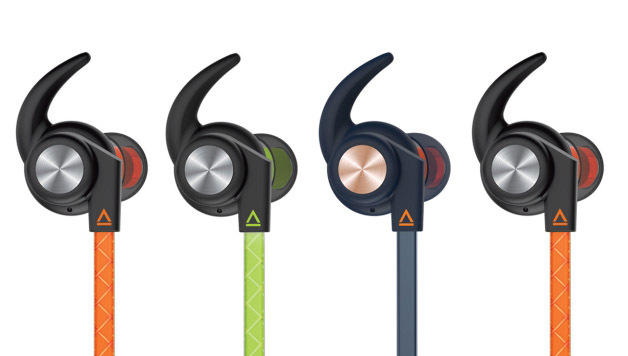 Creative Labs in-ear Outlier Sports Bluetooth headphones, $99 may not please young adults for lack of heavy bass, but mothers who like to workout without hearing loss will appreciate the smooth clear wireless sound, the ability to phone remote, not worry about long workouts on these sweat proof buds. They wear for hours, thanks to the exceptionally designed and customizable soft earbuds and silicone ear tips. I found that simply twisting them slightly would gently make for a looser or tighter fit. Smart! They are light, come in three colour combos and will play for 11 hours with one charge. Available for order and pick up at Best Buy, or the usual Amazon route. Creative iRoarGo, $245, is a slightly smaller version of its siblings but is just as effective in kicking out clear and spacious sound. Press the Roar button and hang on for amazing sound projection with attitude. 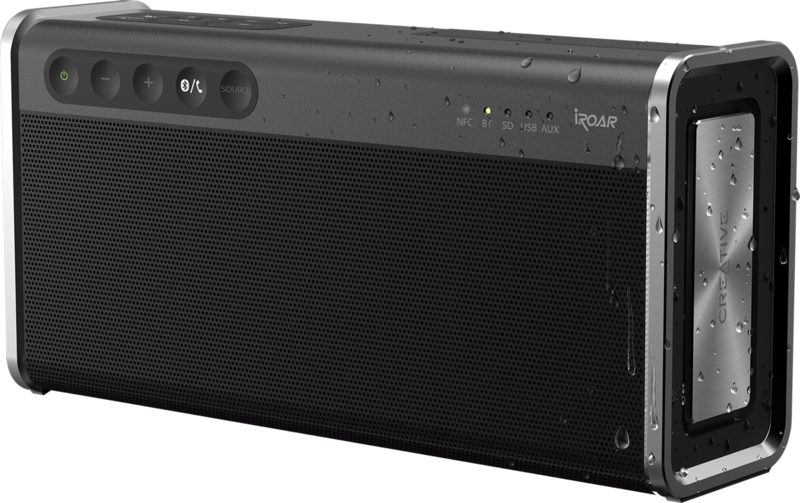 This is the most feature-rich portable speaker, period: Bluetooth wireless with easy optional one-step NFC connect, five speaker drivers, IPX6 splash proof, personal PA system for presentations and parties, play direct from USB, microSD or USB flash drive, charge phones or tablets from its batteries and enjoy integrated digital lossless audio play back from FLAC, WAV and MP3 formats. Record your voice and music too. Download the Sound Blaster app on your phone for more features and control. Oh yes, it has hands free speaker phone conferencing too. This wireless speaker will not disappoint. Also through BestBuy online. 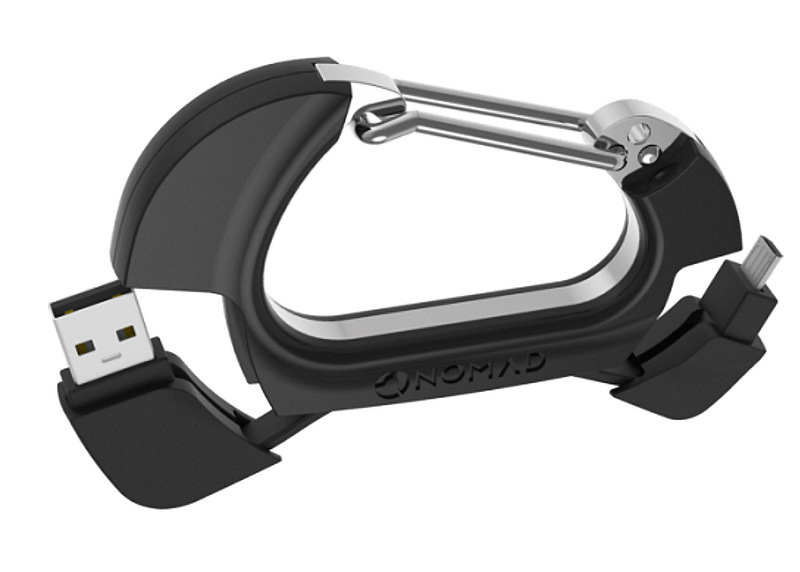 The Nomad Carabiner Charger, $34.95 US in lightning or MiccroUSB and legacy GoPro USB is a built in a quality and stylish, never-loose carabiner you can clip on a purse or backpack. 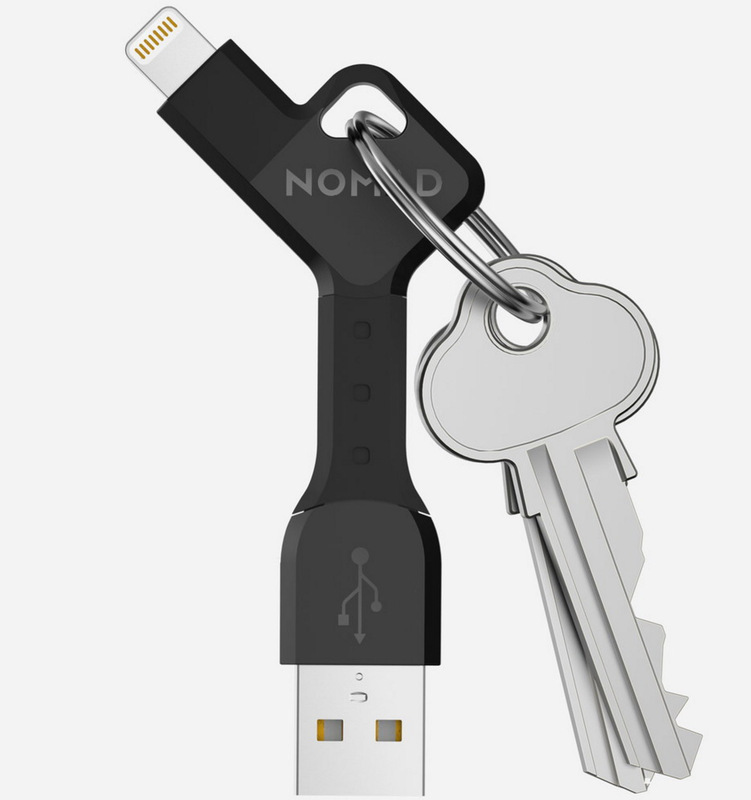 The Key, $24.95 for lightning or MicroUSB is the tiniest USB connector that doubles as a keychain. 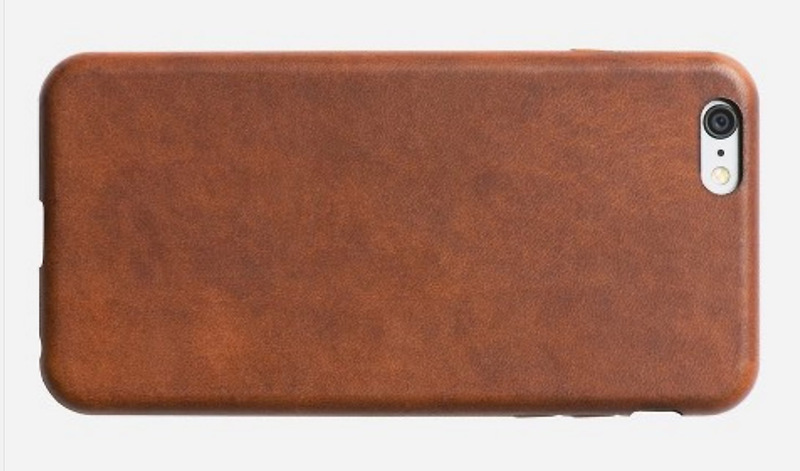 For Mom’s hanging on to slightly older iPhones, the gorgeous rich-looking one-piece wrap-around leather case for iPhone 6/6+ is easy to love, $39.95 US. Need help buying or receiving gifts for any occasion? 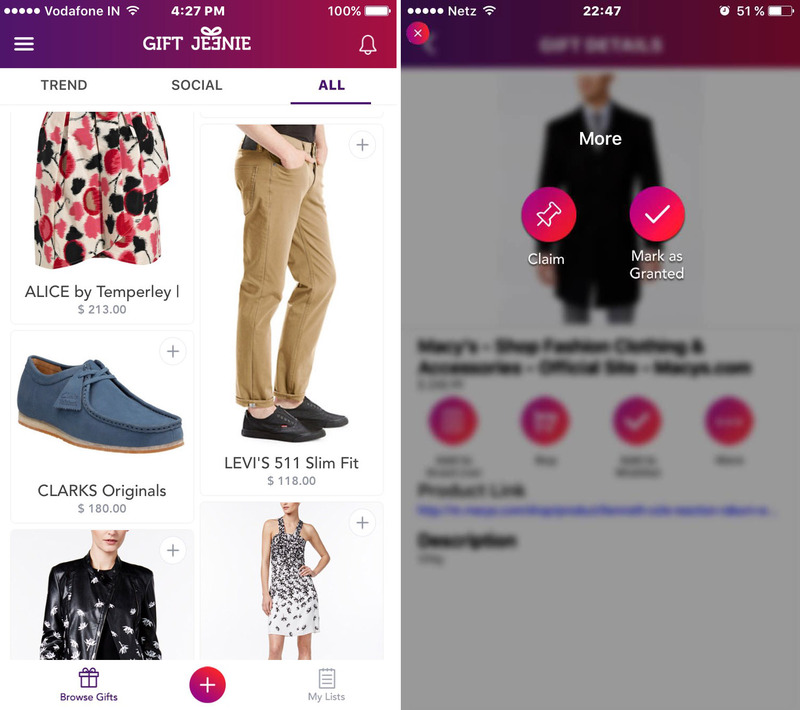 The free Gift Jeenie for Android or iPhone helps you organize gift ideas for friends and relatives as well as letting them know what your wish list has in it in WhatsApp, Facebook, Facebook Messenger, Twitter, or E-mail. It keeps track of duplications and also lets you record or write personalized gifting or thank you videos and messages. Get gift ideas from Gift Jeenie’s Trend section and see what family and friends are adding in social, what items are trending in gifting circles or see what your friends and family have added to their lists. 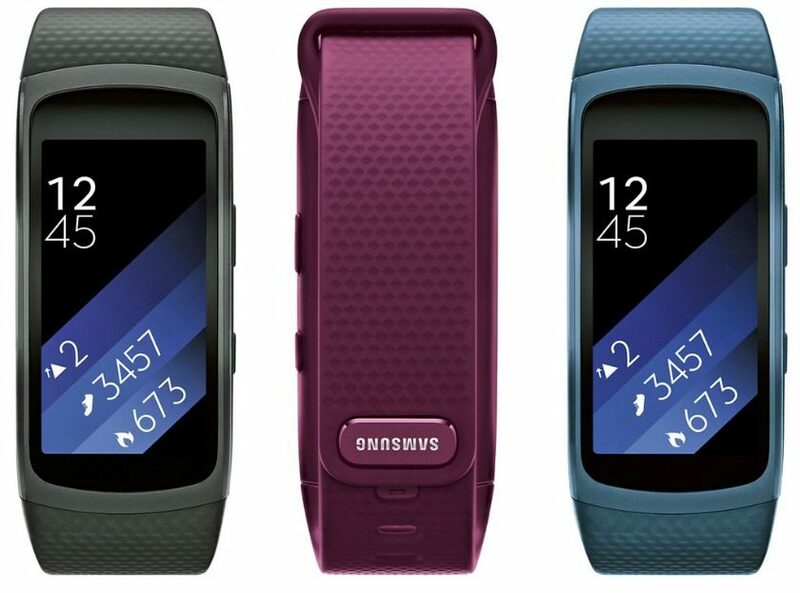 I like two fitness bands that have it right: The Samsung Gear Fit2, $149 – $119 with an embedded GPS and HRM sensor, automatically knows when you are working out and records data. And you’ll always be able to get a hold of your mom since it comes with the ability to check and respond to text messages. It also can be downloaded with 4GB of songs for wireless Bluetooth playback when you leave your phone behind. It has water and dust resistant IP68 certification and a generously sized screen. 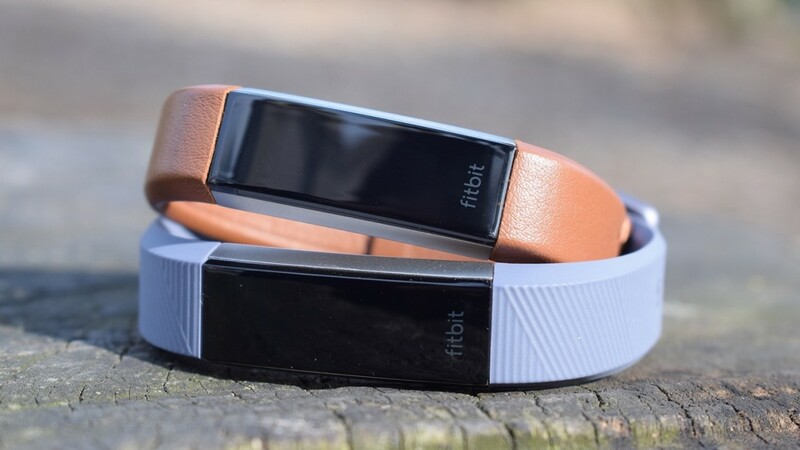 Fitbit has a variety of smaller models from the FitBit Alta HR, $169.99 with heart rate monitor for more accurate calorie burn count, auto exercise recognition, sleep cycle tracking, motivation messages and call, text and calendar alerts. 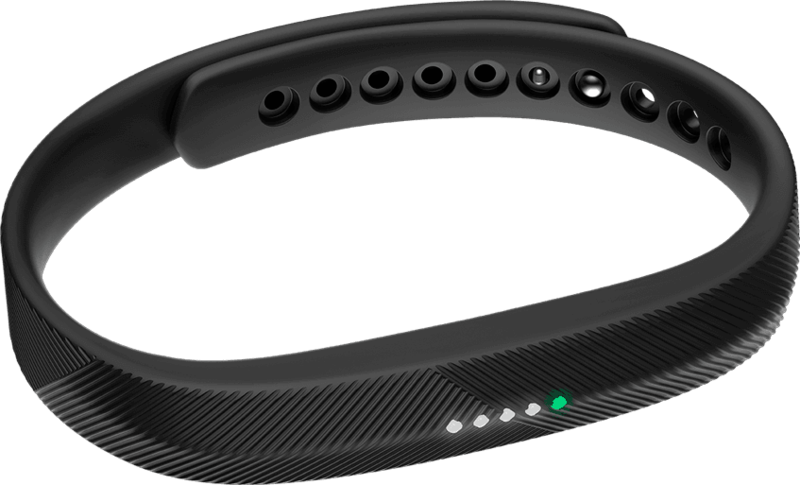 The simpler and smaller Fitbit Flex 2 Fitness Tracker, $79.99, tracks your steps, calories burned, sleep 24/7 and is swim proof. It has a five day battery charge cycle. Get simpler colour-coded text or call notifications. Available at SportChek or BestBuy. Is the home printer getting old and cranky? 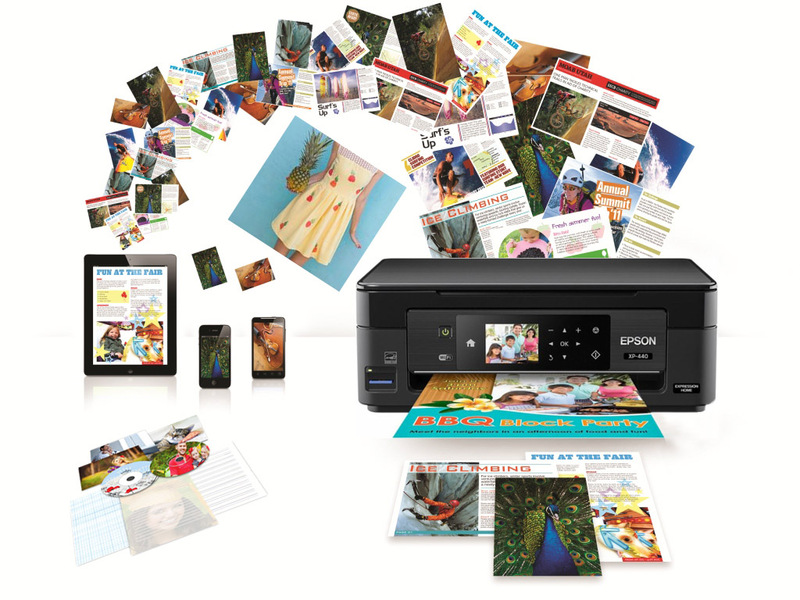 Mom will be able to expand her creativity with the Epson Expression Home XP-440 Small-in-One Printer $99.99. It fits anywhere, prints, faxes and scans. It can be connected by USB, wireless home WiFi or directly from any smartphone. Epson specialty papers like Epsons Iron-On Transfer Paper ($20.99 for 10 sheets) will add colour and life to clothing from dresses to T-shirts. Previous PostNEW LG G6 PHOTOGRAPHY: SIMPLY UNMATCHED BY ANY OTHER PHONENext PostTHE VALUE OF USED STUFF…BILLIONS!